Math is not my friend. It was least favorite subject to learn and it’s my least favorite subject to teach. My children do not like math either, so math class in our home is not a joyous time. It’s the subject that we all dread, but I know that it’s important, so I do my best to teach math. When my children were in elementary school, we used Rod and Staff as our math curriculum for 1st-5th grade. 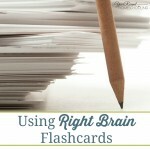 The fun visual resources they have you use are wonderful for visual learners and the simplicity of their lessons is perfect for teachers and students that just want to learn concepts, practice them and move on. However, looking back I often wonder if our early struggles with math could have been eliminated by looking for a new math curriculum sooner? Once we hit 6th grade, I knew we had to change math curriculum. Since I am not a mathematician, I knew Rod and Staff would no longer work for us for a couple reasons. First, I am not good at explaining the processes, I just work through the problem. Trying to walk my 6th grader through the steps required to complete the problem was frustrating for both myself and my son. Going into more difficult math concepts I knew that my son needed to be able to be shown how to complete the problems step by step and since I can’t explain the processes well I knew that I would not be able to do this adequately. Secondly, Rod and Staff’s Teacher’s Manual does not provide step by step solutions for the times when my explanations aren’t adequate or when I simply don’t remember the correct processes. I searched for a new math curriculum for months before I found one that provided the step by step visualization that my son needed. 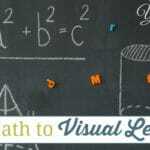 While searching for a new math curriculum I asked many homeschool moms what they used for math in middle school for visual learners. Teaching Textbooks was by far the most recommended math curriculum by homeschool moms. Before moving to Teaching Textbooks, my son and I struggled making it through a homeschool day without being frustrated with each other. This was the biggest sign for me that revealed that it was indeed time to move to another math curriculum. I did not want a subject in school to hurt our relationship. We’ve almost completed our first year with Teaching Textbooks and while there are days that go well, we still struggle with math class. It didn’t solve all of our problems, simply because math will never be our strong suit, but it has helped tremendously. When my son gets a problem incorrect, the solution is then worked out step by step visually so that he can see where he made the error. This has made teaching math so much easier for me and less frustrating for him. There are times when I help him work through the process, but if I’m not explaining it in a way he can understand or if I don’t remember how to work through the problem, there is a private tutor waiting to take him step by step through it! Besides the tutor to help work the problems step by step, my favorite part of this math curriculum is that it grades each lesson for me! This makes my homeschool day so much easier, I simply ask my son for the grade he receives at the end of his lesson and record it in our planner. I wish all homeschool curriculum were self grading like this! I no longer am worried about how I’m going to teach my children math in junior high or high school. They will be taught by a teacher that will explain and show them how to complete the concepts that are being taught and they will be reminded of each step for a problem when necessary. I’m thankful that as a homeschooler I have access to the resources I need to ensure my children are taught math correctly. 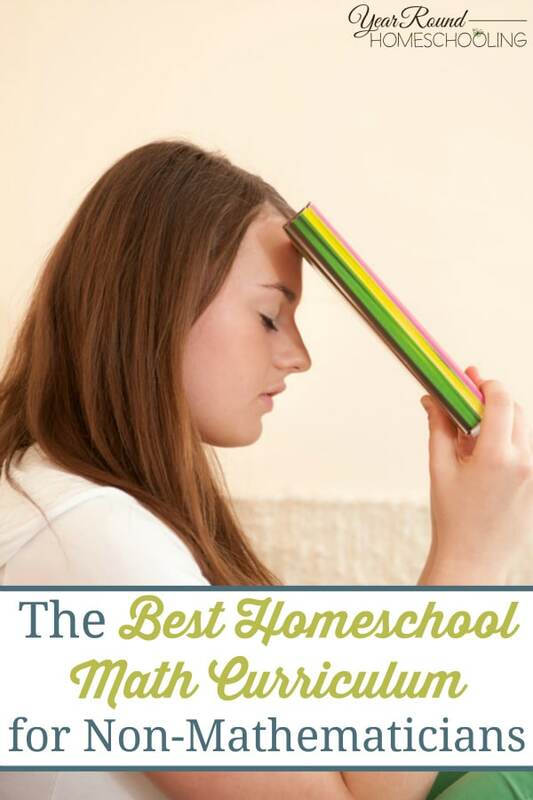 What is your favorite homeschool math curriculum? Let me tell you how much I love Teaching Textbooks. We have an 8th grader who resents math and a 5th grader who is right on her heels with math anxiety. The switch to TT has made all of us a lot more at ease. They are very worth it! My favorite is CLE math. I’ve used it since my oldest was in first grade, so we’ve used all the levels now that have been rewritten for the Sunrise Edition, and they are great. Each concept is taught one baby step at a time, with lots of review. I have several dyslexic boys, and even they are doing fine with it, although I have to read the new concept of the day to them to make sure they get it, and help them read the story problems. I highly recommend CLE math. I’ve never used CL Math. I’m glad that you found something that works well for your kids, that is always a blessing! Our experience exactly! We tried several other curricula, all of which basically brought my daughters to tears. 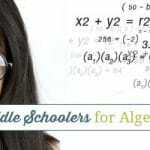 We’ve been with TT for 3.5 years now – currently in the middle of Pre-Algebra – and they are thriving. They are very gifted girls, but it’s obvious neither is wired to be a scientist or mathematician and TT is such a blessing in terms of giving them a wonderfully solid “layman’s” foundation in math. I understand that completely! My son thrives on Teaching Textbooks and I’m so thankful for it! what do you guys recommend using from pre-k thru 2nd since TT does not start till 3rd? I was considering Math U see but this wont line up with TT in third grade since MUS follows its own sequence. I use Rod and Staff up until 6th grade. I believe children do need to be able to open a textbook and know how to use it and how to figure out math problems on paper before moving to PC use. If they go to college they will likely have to use textbooks at some point and if they’ve never used them at an age they can remember, then I fear they will struggle. 🙂 Blessings Toni! I’ve looked into Teaching Textbooks, but I simply couldn’t afford it with the number of children I have. Most of my kids absolutely love Life of Fred, but my 16 yr old prefers a more straightforward approach, so for him we found No-Nonsense Algebra. It’s very inexpensive and comes with free tutorials for every single lesson.